https://www.skymetweather.com/content/global-news/global-warming-temperatures-to-rise-by-1-5-celsius-in-5-years-india-to-get-knocked-out/ 11 February 2019 – Global warming in the recent years has comparatively become a larger threat to the world. And the latest trends of extreme weather activities are a clear testimony to this fact. Though, there are certain sections of the society seriously thinking in this regard and trying their bit in bringing about awareness among people across the world, the vicious destruction of our planet continues. So far, the hottest year on record was 2016, when Earth heated up to 1.11˚C above pre-industrial levels. Even though the heat has gone down in the past two years, it’s unfortunately only a small part of a long-term upward trend. Due to certain natural factors, the heat we experience varies from year to year. However, scientists have estimated that we’re warming the planet about 0.2˚C in every 10 years. Researches also state that, this rise in temperature would adversely affect regions prone to extreme weather conditions. This includes regions like South America, parts of Australia, Africa and India’s coastal areas. Scotland’s nuclear history suddenly disappears from public archive, The National, 11 Feb 19, ACCIDENT reports and safety reviews into nuclear weapons and atomic energy programmes in Scotland are among hundreds of documents to have been suddenly withdrawn from public view. According to a report on the Sunday Post website, following a “security review” the files at the National Archives in Kew were removed so that they can no longer be accessed by the public. The move has been described as “very concerning” by the Campaign for Nuclear Disarmament (CND). The documents relate to a range of topics on Britain’s nuclear weapons and atomic energy programmes, including the nuclear power plant in Dounreay, Caithness, as well as Chapelcross in Dumfries and Galloway and the Hunterston A and Hunterston B power stations which are located in Ayrshire. It is not entirely clear why the files have been removed. All that is known at this point is that Nuclear Decommissioning Authority (NDA) ordered a security review and that a decision will be made on whether or not the documents should remain public………. “It was replaced with a message that if you need to see this, you have to put in an FOI request. 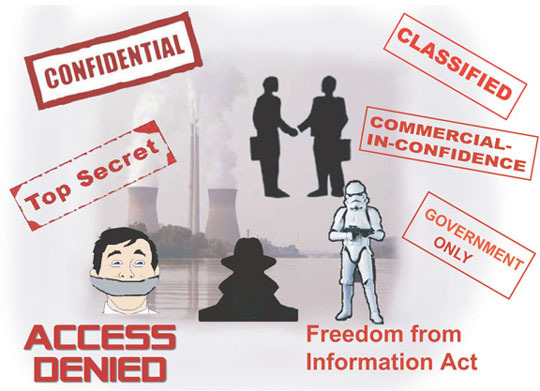 “Almost everything we would want to know on the public record which allows us to trace the history of nuclear establishments across the country have been essentially withdrawn from public sight…….. Ian Chamberlain of CND described the withdrawal of the files as “very concerning”. https://nltimes.nl/2019/02/11/red-cross-urges-netherlands-sign-un-nuclear-weapons-banBy Janene Pieters on February 11, 2019 Aid organization Red Cross and peace organization PAX are calling on the Dutch government to sign the United Nations nuclear weapons ban, a treaty adopted by the UN in July 2017. The Netherlands then abstained from voting on the ban – all the countries with nuclear weapons and almost all NATO countries boycotted the vote, NOS reports. According to Van Deinse, providing aid after a nuclear attack is virtually impossible. People in a wide area are affected by extreme heat, shock waves and radiation. “We can not help in such a catastrophe. Relief workers can’t even go there because of radiation.” The aid organization also points out the environmental consequences of a nuclear attack – the large amounts of soot that end up in the atmosphere can lead to failed crops, falling temperatures and starvation. Earlier this month both te United States and Russia withdrew from the INF treaty dating from the Cold War. The treaty, signed in 1987, bans the development of cruise missiles with a range between 500 and 5,500 kilometers. Shortly before the two countries withdrew from this treaty, the Dutch government’s advisory council for international affairs AIV said that the number of new nuclear weapons and the increased tensions between countries that own such weapons pose a major risk for international security. The AIV advised the Netherlands to raise this issue with the UN. The U.S. Department of Energy recently released new estimates for the cost of cleaning up the Hanford nuclear site in central Washington state. That number could now reach a staggering $677 billion, with active cleanup ending in the year 2079. Under this scenario the federal government would spend, on average, more than $11 billion dollars every year for 60 years. As leaders in the Tri-Cities — the community closest to and most impacted by the Hanford site — we believe that the United States simply must find a way to effectively address this problem at a price that taxpayers can afford. One clear step in the right direction is to begin managing the waste based on its actual contents and risks rather than an arbitrary definition developed decades ago. To summarize, DOE is responsible for the cleanup of waste left over from decades of nuclear-weapons production, including approximately 53 million gallons in underground tanks at Hanford. Federal laws passed in 1954 and 1982 guide the agency’s management of this waste but do not clearly specify how the waste should be categorized. Rather than making a determination, the agency simply decided in the early 1980s to manage much of our nation’s defense nuclear waste as high-level, requiring the highest standards, regardless of the actual amount of radioactivity it contains or risk it poses. DOE is now considering moving away from this well-intentioned, but overly costly and inaccurate approach. Instead of arbitrarily making decisions based solely on the origin of the waste, agency officials are proposing to manage this waste based on its actual physical characteristics. This is the same method that countries like France and Germany use to guide their waste-management decisions, and would bring the U.S. closer to international standards established by the International Atomic Energy Agency. Why does this matter? A risk-based approach would allow DOE to manage, treat and dispose of defense waste in a manner that accurately reflects its contents and the potential risks it poses to human health and the environment. Doing so could reduce cleanup costs by tens of billions of dollars, and has the potential to significantly speed up remediation efforts at Hanford and elsewhere. DOE has been accused of proposing this change in order to save money and shirk its responsibilities, but this new approach would not mean that the federal government can simply walk away from its cleanup obligations. The federal government has committed to many billions of dollars’ worth of remediation work at Hanford and elsewhere, and budget shortfalls mean that important cleanup projects often don’t get started soon enough, or take too long to complete. Treating waste based on its actual contents would allow DOE to direct the resources they save toward other important cleanup efforts that would otherwise languish, potentially for years to come. It could also open up pathways to get some waste out of Washington state more quickly. These waste streams would otherwise remain at Hanford for many more years, or even permanently. In their letter to DOE opposing this proposed change, Gov. Jay Inslee and Attorney General Bob Ferguson stated, “our communities deserve to be heard on this dangerous idea.” We find it frustrating that in this case the governor and AG aren’t listening to the community that is most directly impacted by Hanford cleanup. We do not feel that it is a dangerous idea and, to the contrary, believe that it will allow other important cleanup work at the Hanford site to happen faster. Ultimately, there is high-level defense nuclear waste at Hanford and elsewhere that does need to be treated and disposed of in a deep geological repository. It is some of the most challenging and expensive material that our country has to address. We should not, however, delay cleanup progress and waste taxpayer funds by unnecessarily managing lower-level waste, which scientists agree can be safely disposed at permitted sites, in the same manner. After all, how can we expect to effectively address this problem if we aren’t even willing to accurately define it? The Tri-City community wants the Hanford site remediated as quickly and effectively as possible, but we see no need to make an already difficult job even harder. Our hope is for DOE to meaningfully engage with the appropriate regulatory bodies, including the Washington State Department of Ecology, to determine, in a technically justified manner, that more waste can be managed as low-level. Importantly, this will require the state government and our elected officials to keep an open mind and make a genuine effort to reach a reasonable consensus. If they are successful, it will open the door for faster, less costly remediation outside of Washington state while still allowing the work to be accomplished safely and responsibly. We can then turn our attention and resources to other high-priority cleanup efforts at Hanford, and we will all be better off for it. Robert Thompson is mayor of the City of Richland, the city closest to the Hanford site. Carl Adrian is president of the Tri-City Development Council, which has advocated for the Tri-Cities on Hanford-related matters since 1963. Economist also disputes PSEG’s contention that South Jersey plants will have to close within three years unless given subsidies. New Jersey should hold off awarding ratepayers’ subsidies to nuclear power plants until a federal agency decides whether to boost energy prices under a pending proposal from the regional grid operator, according to an independent economist. The agency is expected to make a decision in the case in April. Nuclear power plants across the country have closed prematurely because of failing economics. Some states, including Illinois and New York, have approved similar financial incentives to avert shuttering nuclear units………. Scanning electron microscopy and energy dispersive X-ray analysis (SEM/EDS), a technique not routinely used to detect radiation, was used to identify radioactive particulate matter in house and environmental dust. The study focused on elements that are necessarily radioactive, including thorium, plutonium, americium, and uranium. Seventy-nine dust and 31 soil and sediment samples were collected from the Hanford Nuclear Reservation, Los Alamos National Laboratory, the former Rocky Flats Plant in Colorado, and from homes of workers or abutters of these nuclear facilities. Dusts containing percent levels of uranium, plutonium, americium, and both mineral and metallic thorium were detected outside of radiation-controlled areas. These radioactive dusts are a potential source of internal radiation exposure to nuclear site workers, or to their families via secondary contamination. Uranium and thorium-containing particles were fingerprinted as either natural minerals or processed industrial particles, based on elemental composition of the microparticles. Activities of individual uranium-, thorium-, or plutonium-bearing dust particles varied by five orders of magnitude, ranging from <0.005 mBq (millibecquerel) to 2,270 mBq. Hanford workplace dusts also had up to 564 ± 24 Bq/kg of137Cs. SEM/EDS techniques reliably detected environmental radioactivity in samples that had barely detectable results by gamma spectrometry. The technique was able to definitively show that thorium, plutonium, and uranium from nuclear facilities could be found in general population settings outside of radiation protection zones…………..
Dusts in this study contained radioactive particles of uranium, thorium, plutonium, and americium. This study found monazites, uranium mineral, and Th-P-REE particles that were likely of natural origin and industrial (plutonium-containing, metallic or metal oxide) radioactive microparticles. Dust in the homes of workers and neighbors of Hanford, Los Alamos, and the former Rocky Flats nuclear facility contained radioactive microparticles connected to these sites. 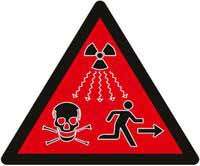 This creates potential radiation exposures outside of radiological protection zones. Given the small respirable size of these radioactive microparticles, they are a potential source of internal exposure from inhalation or ingestion. Money Web , Sebastien Malo, Thomson Reuters Foundation / 10 February 2019 “…….For now, South Africa is the only country on the continent operating a nuclear power plant.